The demand for pharmacy technicians is projected to increase substantially through 2026. 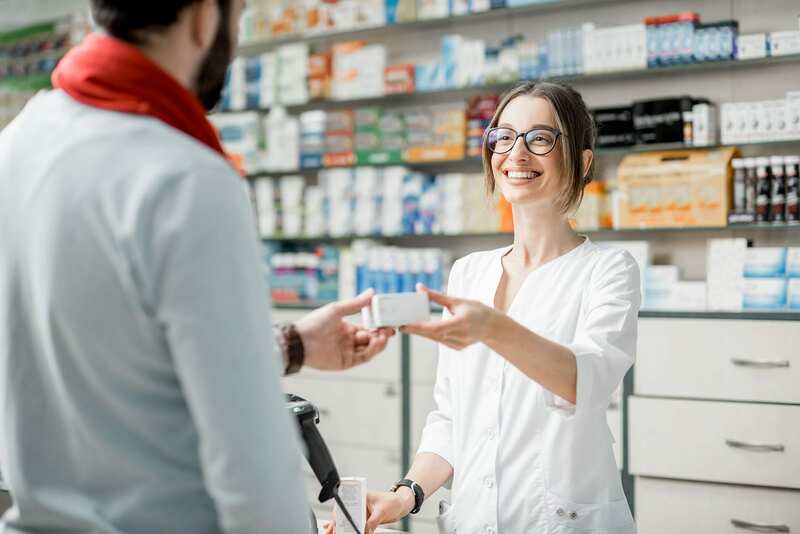 Pharmacy Technicians work under the direction of a pharmacist in hospitals, community pharmacies, home infusion pharmacies, and other healthcare settings. New technology that contributes to the manufacture of new drugs, a shortage of registered pharmacists, the growing needs of the aging population, and the certification of pharmacy technicians. Certification through the Pharmacy Technician Certification Board is becoming increasingly essential as the role of the technician has expanded to include management of the daily pharmacy operations, administrative duties, the packaging, labeling and dispensing of medications, and interaction with consumers. Technicians also ring up sales, update patient profiles, manage billing and insurance, and provide general support to the pharmacist. The State of Louisiana requires prospective technicians to register with as a Pharmacy Technician Candidate to complete the requirements for the externship component of a pharmacy technician program. Registration is also required for practice as a pharmacy technician. There were approximately 3,860 pharmacy technicians employed in Louisiana in 2016. They earned an annual mean wage of $30,740 in 2016 according to the Bureau of Labor Statistics. Bossier Parish Community College offers two pharmacy technician programs: a Certificate of Technical Studies in Pharmacy Technician and Associate of Applied Science in Pharmacy Technician. Adults desirous of pursuing a career in pharmacy can enroll in the program to obtain the skills and knowledge to practice as a pharmacy technician under the supervision of a licensed pharmacist. The Certificate of Technical Studies in Pharmacy Technician is designed to be completed in two semesters. Graduates of this program can complete additional requirements to earn the Associate of Applied Science in Pharmacy Technician. 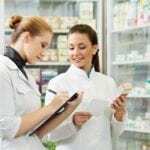 The American Society of Health-System Pharmacists (ASHP) accredited delivers theoretical and practical instruction to provide the foundational knowledge and skills needed to function as a pharmacy technician. Graduates will also be able to apply personal and interpersonal skills in their role, correctly handle medication, manage the medication order process, perform sterile and non-sterile compounding, use technology in the daily pharmacy operations, and perform administrative functions appropriate their role as pharmacy technicians. Students must complete 34 credits to earn the Certificate. Required courses include Health Care Systems and Safety, Medical Terminology, Pharmaceutical Dosage Calculations and Measurement, Anatomy and Physiology, Introduction to Pharmacy Technology, Pharmacy Practice, Pharmacology for Pharmacy Technicians, Sterile Products, and Professional and Clinical Practice. Graduates are eligible to sit the PTCB for certification as a Pharmacy Technician. Tuition for the program is $3,971. Books and supplies cost an additional $1,220. Virginia College’s Pharmacy Technician diploma program provides students with the knowledge and skills to assume an entry-level position in the field of pharmacy. Students learn how to transcribe physician’s orders, authorize prescription refills, prepare unit dose medications, label medications, select drug products, maintain patient profiles, prepare IV admixtures and sterile irrigations, and dispense medications. The program combines classroom lectures, skills lab, digital instruction, and a pharmacy externship. Students must be prepared to complete out-of-class work. It covers 800 contact hours in 36 weeks, including 460 hours of lectures, 140 hours in the lab, and 200 hours in a pharmacy setting. To graduate from the program, students must complete 59-quarter credit hours. Graduates will receive a Pharmacy Technician Diploma and will be eligible to sit the PTCB for national certification. Course topics include Fundamentals of Allied Health, Allied Health Careers, Nervous and Sensory Systems, Hospital and Retail Pharmacies, Adsorption Systems, Endocrine and Reproductive Systems, Sterile Products, and Pharmacy Technician Seminar. Graduates of the pharmacy technician program are prepared to practice as a Pharmacy Assistant/Clerk. The two-credit program includes instruction in pharmacy terminology, drug calculations, pharmacy law and ethics, and pharmacy operations. In addition to the classroom lectures, students will gain practical skills through field trips and opportunities in various community pharmacies. The program includes CPR training and certification. The class fee is $20.00 including the cost of supplies in the program. The comprehensive pharmacy technician program at Louisiana State University prepares students to take the PTCB exam and practice as entry-level pharmacy technicians. The curriculum covers key areas including medical terminology, reading and interpreting prescriptions, dosage calculations, pharmacy calculations, the top 200 drugs, generic and brand name drugs, inventory control, dose conversions, and billing and reimbursement. 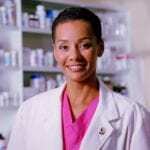 Instructors cover the history of pharmacy and healthcare, drug regulation and control, types of pharmacy, technician role and responsibility, pharmacy abbreviations, parentals and compounding, aseptic techniques and handling of sterile products, and basic IV solutions. Other topics include route and formulations, basic biopharmaceutics, Total Parental Nutrition (TPN), and information and pharmacy resources. Students must pass all the quizzes and final exam to participate in the pharmacy externship. The program is delivered online and may be completed in 6 months. Students will have access to the course information for 12 months. The pharmacy technician program at Ayers Career College covers a wide variety of areas, including pharmacy operations, pharmacy calculations, drug interactions, and medical abbreviations. Graduates will receive a Pharmacy Technician Diploma and will be eligible to sit the PTCB for certification as a pharmacy technician. The program is designed to be completed in 36 weeks and covers 49-credit hours. Classes meet Monday through Thursday from 8:30 am to 1:40 pm. Through classroom and practical instruction, students learn pharmacy law, pharmacy terminology, anatomy and physiology, dosage calculations, preparing and dispensing prescriptions, and billing and reimbursement. Students will also benefit from Career Development courses that will prepare them for the world of work. They will have an opportunity to participate in an externship that will provide real-world experiences in a community pharmacy. Tuition costs $15,900 and includes instruction in the classroom, lab, and externship. Financial aid is available to eligible students.